Getting a pin-sharp, colourful image on a modern gaming console is about as hard as falling off a log. 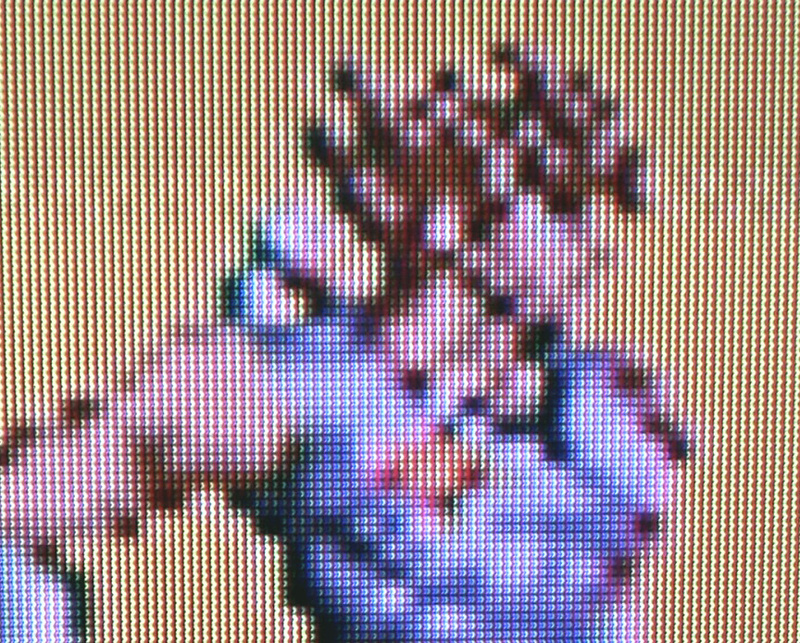 Both the Xbox 360 and PlayStation 3 support HDMI output for true HD gaming, and although the poor old Wii is still stuck in the land of 480p, it’s still capable of kicking out a pretty decent image via component. However, getting the same quality from older hardware is becoming more and more difficult. Machines from previous generations were intended for use on CRT television sets, and these were more suited to the standard definition images pumped out by the likes of the SNES, N64 and PlayStation. The march of progress has resulted in HD-ready LCD TV sets becoming the norm, and although they’re geared up to give you 720p resolution and beyond, they don’t tend to show retro hardware in the best light. We explored retrofitting your console for the HD age for solving this problem a while back, but in the relentless quest for the perfect vintage picture, we’ve dug a little deeper to highlight another product that grants an authentic representation of retro gaming on a modern telly. The CGA to VGA Upscaler is a little box of wonders weighing no more than 100 grams. It takes the signal of your vintage hardware and ‘up-scales’ it so it’s displayed with more clarity on your LCD television. Most modern TVs support VGA input, and depending on the make of your TV, this method is often superior to using RGB SCART. It’s certainly an improvement on composite, which is the only option that many American gamers have when it comes to playing their old consoles. Of course, because the upscaler uses a VGA connection, it isn’t just limited to to your LCD television. You can hook it up to your PC flatscreen monitor, and create a proper gaming rig that includes your personal computer and your retro consoles, all based around one screen. The only thing you’ll need to be aware of is that the upscaler uses DB15 connections for both its input and output. With the output it’s obviously not an issue as the DB15 is the standard connection for VGA leads, but you’ll have to get a special lead to connect your retro console to the upscaler’s DB15 input. You want to be harnessing the machine's RGB signal where at all possible, as that gives you the best possible results with the upscaler. The quality of the image generated by the upscaler is noticeably better than pure RGB SCART, and the added bonus of being able to hook up old consoles to flatscreen PC monitors is almost worth the price alone. If you've got several flatscreens lying around the house, you may find they get a new lease of life thanks to this awesome piece of kit. We obtained our unit from UK company CYP Europe. The unit we acquired goes under the code CM-397, and it’s a tiny little box that is unlikely to take up too much room under your TV, unlike some of the bulkier options on the market. If you're looking for a way to make your retro games look as good as possible on your modern TV, then this could be your best bet. It's also worth noting that this upscaler allows you to use the awesome SLG3000 scanline generator for that authentic CRT experience - but more on that in another feature. That's cool, thanks! But, I'd still like to know how I can reduce/eliminate lag on an HDTV when I have my Wii running on it. Sounds very interesting, but say, does it recognize if it's a 240p signal? (Like SNES & NES output). Ooh, I'd love to play Yoshi's Island in HD! Have been using my Onkyo TX-NR906 http://www.trustedreviews.com/home-cinema/review/2008/10/10/Onkyo-TX-NR906-AV-Receiver/p1 cinema amp that uses the widely acclaimed HQV Reon scaling chip in it, i upscale everything to 1080p and output through HDMI my N64, Snes, Wii etc and believe me theirs upscaling and theirs upscaling quite frankly the difference between most items that upscale and something thats decent is night and day. Wow, I may have to do this. Ahh jeez, the fanciest I ever got with my games/TV was S-video (including my Wii), but I'm probably going to need to look into something along these lines when I move to Japan in a few months and my primitive technology isn't compatible with anything over there. Where do I get a cable to plugs into an N64 that has a VGA connector on the other end? Same for PS2? Gamecube? It would be nice to see some comparison screens of a Wii @ 480p against what it would look like upscaled (720i/p - 1080i/p) with one of these convertors. Anyone care to make that happen? I could care less. I'd rather play my old systems on a smaller CRT anyways....Then i won't have to deal with LAG and inferior PQ that an LCD would give me. Anyways, the day that somebody releases a little machine that gets rid of LAG completely, will have me jumping up and down. I have one of these, although ordered from Ambery.com. It works well, and it's fairly cheap in comparison with other similar devices. I had an issue with my LCD monitor where I was getting a moire problem but adjusting my settings managed to fix that. I feed it component video and the quality is good. It handles PAL50/60 and NTSC. It claims to support sync on green RGB but it didn't work when I set my PS2 to output that - no great loss as the quality on component should be the same. How are you hooking up older consoles? The device comes with component leads and claims to support RGB, but no leads are supplied for that. I'm interested to know if it accepts SCART RGB with the sync on the composite video signal. If so that would be an excellent way to hook up an NTSC SNES or PAL Gamecube. I have the rare Cube component cable but my SNES has to struggle along with s-video. @MasterGraveheart I know this isn't the answer you want to hear, but if you want an HD TV without input lag from lower res consoles get a Panasonic Plasma. It's great, only problem is it doesn't have VGA input so I can't use this awesome device! arg. Lag on HDTV's is a big problem these days. I fear that we are currently in the dark ages with regards to using older consoles on newer televisions. I wonder how much additional lag this device adds? I have found that using the Wii component cables along with the "Game Mode" on my TV helps, but I always wonder how much lag there still is over playing on a conventional display. It is my hope that future consoles and TV's will be able to talk to each other across the HDMI connection. The TV would tell the console the amount of delay, and the console could adjust accordingly. That way all players would have the same gaming experience the game developer intended. @1.MasterGraveheart: I agree. Some upscalers add more input lag, which can totally destroy games. @16.DrKarl: The console can't just "adjust" to input lag. It's not that simple. How is the console and TV supposed to know exactly when you’re going to press a button? It works in Rock Band and Guitar Hero because the game is based on buttons that have to pressed at a certain time, so they can hold back the actual processing in the game's engine so it all syncs up, but for any other kind of game, it just won't happen at all. Next gen we'll have full 1080p HD games running on 1080p HDTV's. So a matching resolution is a first for once, which may reduce lag and there's zero upscaling. But it's just the bloody processors that cause the problem. I hate lag, and it's the very reason why i won't game on HDTV's. This issue better be ancient by the time Nintendo's next console will hit. For now it seems Panasonic Plasma's like the S3 offer the least amount of lag when set on game mode. but that's still not good enough for me. For more serious info about upscaling and deinterlacing check http://www.garden-of-war.de/ . It's not my site but has a lot of great info and reviews of more high-end upsclaers and deinterlacers. Just like to say I enjoy your site. I do have one comment... Could you please follow up on how to use the upscaler. I've bought it following your glowing review but now i have it, I have no idea how to connect my super nintendo to it!